Advances in the technology world increasingly provide greater convenience for people, like what is done by Planika, recently they sent some pictures of their latest products Automatic Fire Line fireplaces. 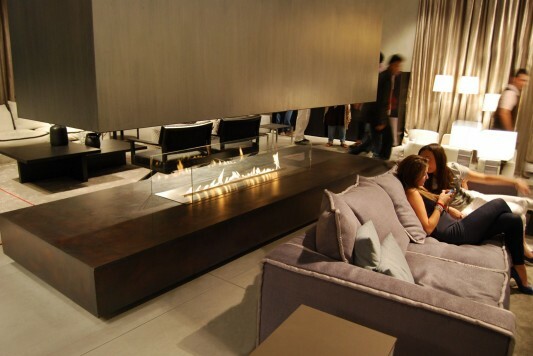 After the era of bio-ethanol fireplace use as a substitute for the use of conventional fireplaces that use wood, Planika develops its products for ease of use, by implanting some modern technology. Such as using a remote control, or smart home system, it is certainly giving a lot of convenience because it can be done long distance usage. Below are some pictures from the fire line automatic Planika fireplaces. 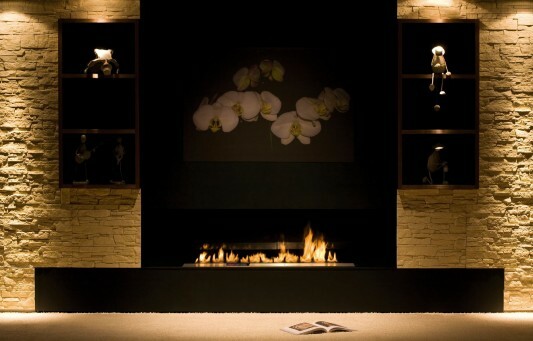 In launching its new product onto the market, Planika opens a completely new chapter in the history of bio-fireplaces. Fire Line Automatic is a great tool not only for architects and interior designers, but also every open-minded perfectionist. In this model only vapours are burned, so the flame is separated from the fuel. Due to the fact that there is neither smell nor smoke and the CO2 emissions are comparable to those produced by the human body, the FLA insert is an optimal solution for places with no chimney. There is no need to place it in a large room. It might be used as a substitute for a traditional chimney, a free-standing decoration or recessed into furniture. Planika gives you the opportunity to adjust the shape of the fireplace to your personal expectations вЂ“ your imagination is the only limit! It is also possible to combine two or more modules. The longest fire line came to 59 inches and was presented this September in Warsaw, Poland at Perfect Home Fairs. Thanks to the advanced technology, you can operate the device with a remote control and enjoy the fabulous visual effects. Bio-fireplace may also cooperate with a smart home system. As far as security measures are concerned, the product places 1st in its segment with a variety of sensors installed inside. Fire Line Automatic turns off automatically when detecting a possible danger such as shock, earthquake, raised CO2 concentration or an opened fuel filler bolt. All errors are given on a large display and signaled by the sound of an alarm. Every single product is assembled manually and tested before being sent out to the customer. The security of FLA and fuel FANOLAВ® is fully certified.